In 2013, South Africa's Chief Rabbi Warren Goldstein, had an idea. Wouldn't it be wonderful if most South African Jews kept one Shabbat together, publicly? 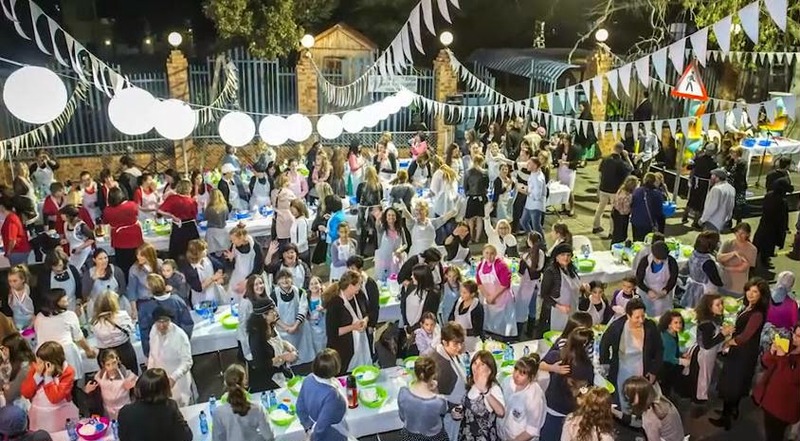 The idea took root and last October the majority of South Africa's 75,000 Jews, most of whom had never observed a single Shabbat, adopted the slogan "Keeping it Together" and turned the major cities into examples of Shabbat observance. Dinners indoors and outdoors, synagogue attendance, quiet time with the family, and a well-attended Havdalah concert were enjoyed by the participants. So what are they doing for an encore? They're going global. Already some 170 cities in 30 countries are geared up for the 2014 Shabbos Project this Friday and Saturday, October 24 and 25, Shabbat Parshat Noach. Challah baking has started, invitations are going out, and Reform, Conservative, and Orthodox communities will be participating in local events and observances. The two videos below tell the whole story. The first tells about the concept and implementation in South Africa last year, and the second is an invitation by former Connecticut senator Joe Lieberman to Jews worldwide to participate this week. Great posting;) And lovely picture and videos.I know that The two videos below tell the whole story. Shabbos Project this is a great idea.And Suppers inside and outside, synagogue attendance, calm time with the family, and a decently went to Havdalah show were delighted in by the members.Thanks all! !